KUALA LUMPUR — It is a general consensus within the Asean grouping that civil societies should have a greater role to play in order for the Asean to guarantee the success of the Asean Economic Community (AEC). 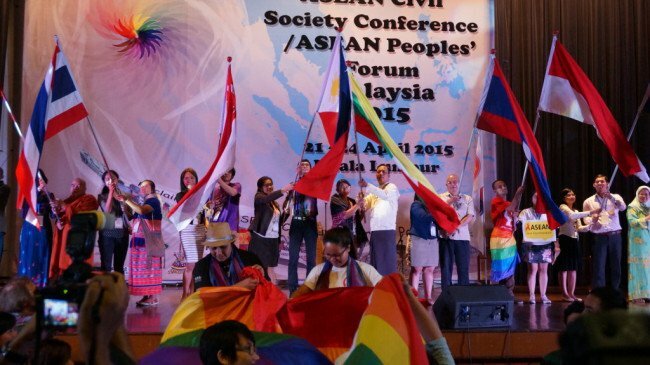 While non-governmental organisations (NGOs) are not given access express their concerns and offer solutions to issues affecting the Asean during the Asean summits, they have the Asean People’s Forum (APF) to spill the beans. For the past 10 years, the APF has achieved the impossible task of allowing the Asean citizens to raise their voice, and express their views. During that time, the APF gained prominence, and became more meaningful, as the target of the AEC is to reassert the people’s role in the organisation, since they are now considered as central to Asean’s success. For those who attended the forums, they would recall the high voltage atmosphere during the debates and talks, with the civil society representatives of Asean nations sparring verbally against officials. These altercations were mostly vocal, and nothing physical, but the debates and the altercations stressed the need for the public to have a podium where they can express themselves quite freely. For example, Vietnam held the APF in 2010. It was the sixth APF and it opened in Hanoi with 700 delegates from people’s organisations across the Asean taking part. Since then, Vietnam has attended all such forums, in a show of unity and support but also to offer an avenue to its people to discuss issues of interest to them. The same applies to all other member states, though some states did prevent the holding of such forums, due to what they call an increasingly biased atmosphere during the APF. And that is most unfortunate, since the APF has slowly turned into a forum where anti-regime elements are given a chance to vent their anger. This has happened in the most recent years, where besides the Asean people expressing their voice during the forum, there were also elements from a variety of organisations that have taken advantage of this forum to defame some governments. The problem with these organisations is that they never offer any constructive solutions, or thoughts, but attend and speak at the APF with one intention, that of attempting to destroy the image the image of their targets by creating division among the participants. The forum organisers are all for allowing non-Asean based organisations to participate, with their agenda of ‘exposing’ what they perceive as wrong about some Asean nations. Needless to say they are mostly backed by American, or so to say, Western sources that has seemingly penetrated the forum to turn it into a political party podium. Recently, the APF organisers invited the Boat People SOS (BPSOS), which is widely regarded as a non-governmental organisation combating for the welfare of Asean citizens working away from their country of origin. 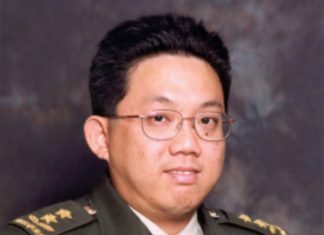 The founder and chairman of the US-based BPSOS is a Vietnamese citizen of world renown, Nguyen Dinh Thang who is also very well known for his anti-vietnam rhetoric. By right, the BPSOS is not an Asean entity, it is an American NGO, and many participants at the APF have asked the question whether it was appropriate to allow a US-based NGO to participate at the forum? The reason was the anti-Vietnam attacks that were launched during the forum, which was not well taken by countries that does not want any divisive actions during the APF. In another instance, in 2011, the organisers requested some members of a Vietnam committee on human rights to speak at the forum. But its president and founder, Vo Van Ai, was asked to speak objectively about the human rights situation in Vietnam, to which he obliged. Vo Van Ai who is of Vietnamese of French origins made himself well known for conducting propaganda against Vietnam in France. He still participated in the APF to stir up the forum though his committee is not an Asean based entity. The point is, if the APF wants to be an efficient forum and make the Asean governments pay attention to its voice and to its recommendations, it must not only criticise but also give practical options. Nguyen Dinh Thang have been accused of deliberately distorting the facts, and of misrepresenting the the truth about Vietnam’s foreign workforce employed across the Asean, including Malaysia. Reports also suggests that Nguyen Dinh Thang has urged Vietnamese workers in Malaysia to go on strike, while those who return to Vietnam (many of them abandoned their jobs to work illegally in Malaysia) are urged to disseminate anti-Vietnam propaganda in Vietnam. The APF spends a lot of money from sponsors to organise these forums, and to invite the speakers and lodge them in the countries where such forums are held. But a lack of practical actions and the vociferous rhetoric against the member countries does not help the APF. It only leads to a lack of support from the APF towards both the Asean and the AEC, at time when the global economic situation is taking a toll, with both the US and China suffering internal financial and economic turmoils. The APF should be a forum for its own people to exchange cultures, raise their voices and give valuable contributions to the AEC and Asean community. It should not to be a stage for out-of-region organisations to participate to fight against Asean values and then force Asean citizens to follow their ways. The APF must build its own image with the help of Asean citizens, not foreign based entities. To succeed, the APF really needs to set up a harmonious relationship with the Asean in order help turn this region into a community of unity, prosperity and development. The APF will be more useful if it concentrates on problems that affects the Asean citizens on a social-economic scale. They should allow people to talk more on elderly citizens, on children, women and even on the need to secure the disabled people of the region in order to give them a better future. These would be more more useful than mere criticisms against governments as this is not the right forum for political feuds.